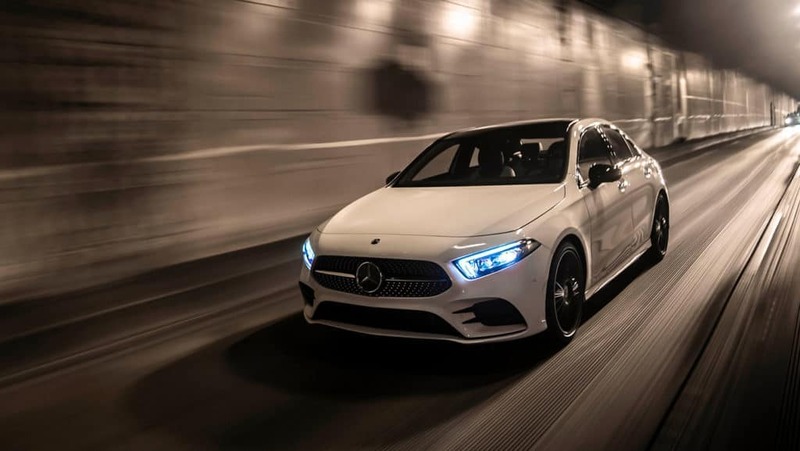 The new 2019 Mercedes-Benz A-Class is a stylish and sophisticated compact luxury sedan that comes loaded with user-friendly tech features. It also delivers the kind of spirited performance that makes any drive in and around Decatur a joy. 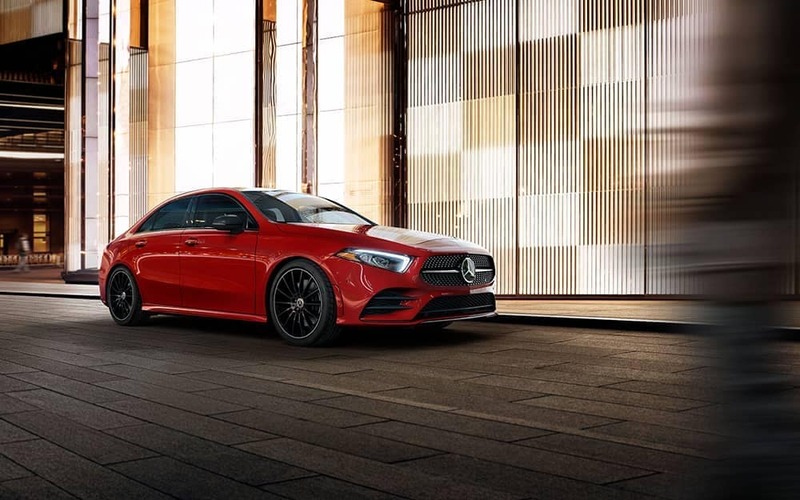 Learn about the engine and performance specs of the new A-Class, then stop by Sullivan•Parkhill Automotive Inc to take it out for a road test. 7G-DCT 7-speed dual-clutch automatic transmission. The A-Class is powered by a 2.0L inline-4 turbo engine with rapid-multispark ignition, high-pressure direct injection, a twin-scroll turbo, and CAMTRONIC variable valve lift. This fine-crafted engine delivers 188 hp with 221 lb-ft of torque, and has a 0-60 mph time of 7.1 seconds. To help save fuel and reduce emissions on Danville streets, the A-Class engine is equipped with an ECO start/stop system that automatically shuts off the engine when you’re at a stoplight or idling. Another performance feature of this premium small sedan is Dynamic Select, which has three set modes – ECO, Comfort, and Sport – for you to customize your drive to suit your style and mood. There is also an Individual mode which allows you to select the throttle response, shift points, and ECO Start/Stop parameters you want. You can even set the transmission to manual shifting.The standard instrument cluster is a high-resolution 7-inch digital color screen, with a large analog-style speedometer and a set of menus you can scroll through using the left-thumb Touch Control Button on the steering wheel. Bright, clear, and easy to use, the instrument cluster display keeps you in touch with all of the vital engine and performance info. We think that the best way for you to learn about the performance specs of the new Mercedes-Benz A-Class is to stop by Sullivan•Parkhill Automotive Inc and take it out on the road. Browse our new Mercedes-Benz inventory, and explore our new vehicle specials, to find the best deals available in the Champaign area. Looking for a used Mercedes-Benz? Check out our inventory of certified pre-owned Mercedes-Benz models. If you have any questions, or would like more information, please contact us.